Going solar is easy and can save you a lot of money. But that doesn’t mean your choice of solar installer is a decision that should be taken lightly. Working with the right company can help ensure you don’t face any unpleasant surprises weeks, months, or years down the road. Here’s our guide to help you choose the best solar installer for your home. Taking ownership of the process from start to finish is critical to a successful solar installation. If the company that designed and sold the system is the same company that’s permitting and installing it, you know there won’t be any slips. On the other hand, if the company that’s selling you solar outsources the installation, what ownership do they have over the outcome? What incentive do they have to get the design and production estimate correct? How do you know that promises made during the sales pitch will be kept by the eventual installer? Certasun never outsources installations to a third party and will work with you from start to finish. That’s part of our No Surprises Guarantee, which is a guarantee we provide to every customer who chooses to work with Certasun. Read more about our No Surprises Guarantee. Homes are built to last. So should solar. High quality solar equipment can last up to 40 years and increase the value of the home for future buyers. Lesser equipment will degrade quickly and will likely need to be replaced in as soon as 10-12 years. How do you know if you’re getting high quality equipment? Make sure you’re getting a high quality warranty. That means not just a power warranty, but also a product warranty that covers replacement of the panels, inverters, and racking. If the warranty’s no good, that’s a clear vote of no confidence in the product. 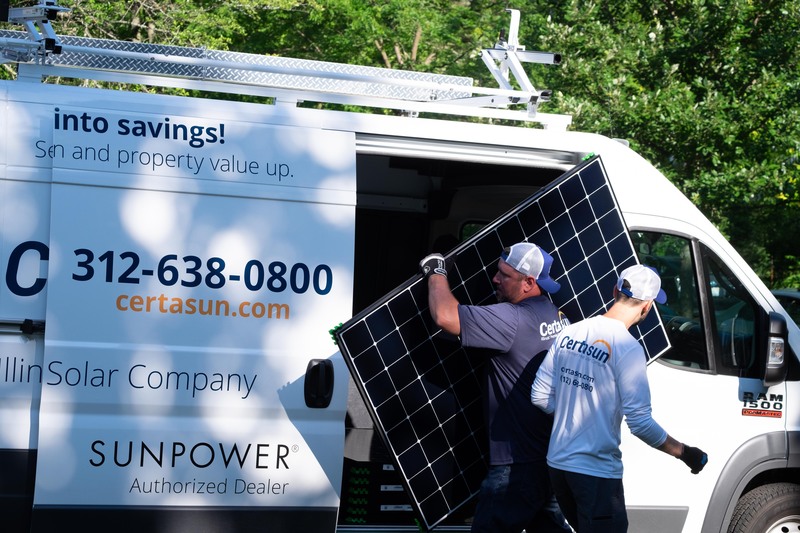 Certasun exclusively installs SunPower™ equipment, which carries a 25-year power warranty and a 25-year product warranty on the panels, inverters, and racking (all made by SunPower). Read about SunPower™ equipment and what sets it apart. Read our blog post about specifically what to look for in a solar warranty. There’s a term in the solar industry for companies that chase incentives. It’s called ‘riding the solar-coaster.’ Out-of-state companies will show up in a state when the incentives are hot and will quickly depart as soon as the incentives cool off a bit. What does that mean for you, the customer? It means your solar company that made lots of promises to you might not be around for long after the Illinois incentives scale back. That’s why it’s so important to work with a local company when you’re going solar. You’re making a multi-decade investment in your home and you’ll probably want to work with someone who’s also in it for the long haul. The best solar installer you can find will be a local company with world-class expertise. 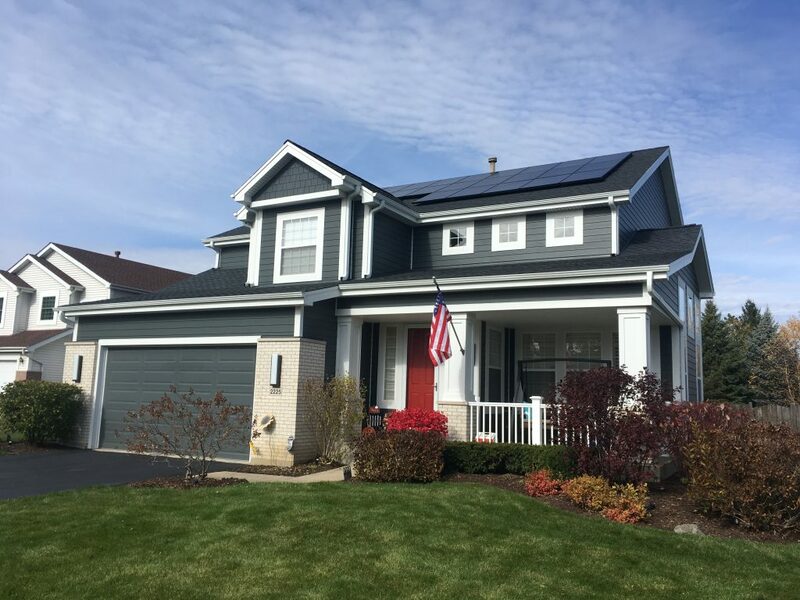 Certasun is a locally-owned solar company based in Buffalo Grove, IL. Our management team is entirely local to the area and lives in Glencoe, Chicago, and Arlington Heights. Read more about Certasun and what we’re all about. How does net metering work? How are the Illinois SRECs calculated? What type of panel is best for my roof? How much money do you think I’ll save each month? How big an offset can I get? Going solar is easy, but that doesn’t mean you won’t (or shouldn’t) ask questions. And you definitely want your solar installer to be able to answer them! Not only do smart answers provide helpful information, but they also suggest that the team that’s going to be installing your system has its act together. Certasun was founded by long-time solar industry experts who together have spent many decades working with the largest solar installers, developers, and investors in the country. Read our Frequently Asked Questions to learn more about going solar. Who’s a better judge of a company than its customers? Satisfied (or dissatisfied) customers can provide incredibly useful insight into what makes a solar company the best solar installer for your home. Read what our other customers have to say about us. Just say no to metal paste: Conventional solar cells are fronted with a conductive metal paste. This paste creates an unsightly series of silver-colored lines on the solar panels. Contemporary panels omit the paste and instead have a solid metal backing. Avoid the big gray box: Systems with one or two “string inverters” place the inverter – essentially a big gray box – on the side of your house. Not exactly sleek. Microinverters, which are built into the underside of the panels, appear cleaner (or, rather, don’t appear at all). Opt for less conduit: Sometimes exposed exterior conduit is inevitable (if you don’t have an attic), but it can usually be avoided on systems with microinverters. On the other hand, an exterior conduit run is required for string inverters. Have an all-black option: All-black panels can look really stunning on a home and are a great option for front-facing systems. Certasun sells SunPower panels, which have a unique conductive copper backing that increases cell stability and efficiency; no metal paste here! Additionally, all SunPower panels have built-in microinverters, which result in a cleaner installation on your roof. Finally, SunPower’s X21 350 watt panel sold by Certasun is an outstanding choice for street-visible solar systems. Check out drone footage of some of our installed solar systems. Some people want to own a system; some want to lease it. Some want to make a big down payment; some prefer $0 down. Whatever your preferences might be, a high quality solar company should have multiple financing options and be able to work with you to choose the best option for you and your unique situation. Certasun offers a wide range of financing options including $0 down. Moreover, we’re indifferent to the financing option you choose; this means we can give you unbiased advice about your best option. Read more about the financing options offered by Certasun.